Three MacBook Pros: Which one has the magic touch? The iPhone may be Apple’s most popular product, but the company hasn’t forgotten about its former flagship, the MacBook. 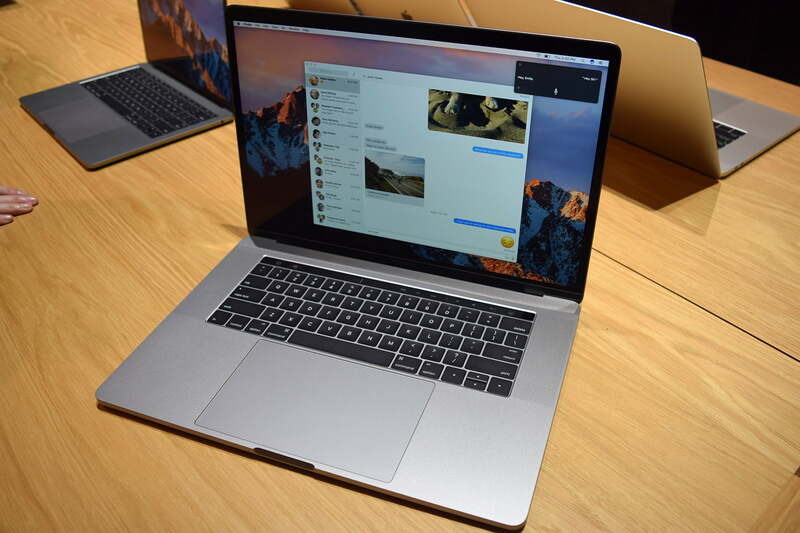 In late 2016, Apple revealed the new face of the MacBook Pro lineup, including three new laptops with updated hardware (two of which feature the newly-unveiled Touch Bar feature). The latter component is an OLED multi-touch display, one designed to replace the function keys at the top of the keyboard and provide custom shortcuts for whichever app is at hand. It’s a headline-worthy feature, to be sure, but it might not be for everyone. Fans of the MacBook may wonder whether they should get one of these new machines and, if so, which one. Read on, as we break down the specifications and features for the MacBook Pro 13 vs. MacBook Pro 15. The basic 13-inch MacBook Pro should look familiar to longtime users. The aluminum unibody is as striking as ever, and the new trackpad — which is significantly larger than the previous one — should give users a bit more freedom when performing multi-touch gestures. The 13-inch and 15-inch MacBook Pros look almost identical, aside from the size of the display, touchpad, and speaker grills. As for color options, all three of the new MacBooks come in either Silver or Space Gray. In terms of features, there are some differences here. Two of the models have the infamous Touch Bar built into the keyboard, replacing the function keys with a new touch interface. The Touch Bar retains all the functionality of the old keys, allowing users to adjust lighting, sound, and other facets on the fly. More importantly, it adapts to each program the user opens. However, it’s placement means it doesn’t end up being very useful. While we don’t like the Touch Bar all that much, Touch ID is a fantastic inclusion on these laptops. Touch ID works great and gives you an extremely efficient way of unlocking your laptop with your fingerprint. It’s sorely missing on the MacBook Pro without Touch Bar. The basic 13-inch MacBook features two Thunderbolt 3 (USB-C) ports that can be used for charging devices and connecting displays, while the upgraded 13-inch and 15-inch models each feature four of these Thunderbolt ports. There’s no HDMI port or SD card reader, but it’s nice to see Apple push forward with next-gen connectivity. If only Apple offered four Thunderbolt 3 ports across all the models. MacBooks have never been the most powerful laptops around, but they’ve always been a dependable mid-range option, and that continues to be the case with the new 13-inch MacBook Pro models. The cheaper version — the one that lacks the aforementioned Touch Bar — sports a 2.3GHz dual-core Intel Core i5 processor, while the version with the Touch Bar has a 3.1GHz Core i5. The 3.1GHz model has a higher clock speed, and since both processors are dual-core, the higher clock speed should translate to quicker performance. 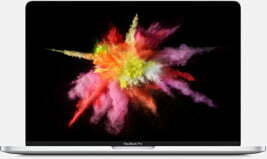 The new 15-inch MacBook Pro takes things to another level. 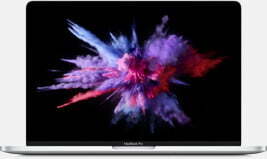 The base model has a 2.6GHz quad-core Intel i7, but for an additional $400, you can net a model with a 2.7GHz processor. Although that is a lower clock speed than the 13-inch Pro with the Touch Bar, having twice the cores means the i7 can handle multi-threading applications far better than a dual-core with a higher clock speed. Both of the 13-inch models have 8GB of RAM, while the 15-inch has a monstrous 16GB, which is enough for many of the more demanding games and animation software on the market. Overall, the new 15-inch MacBook Pro is a far more powerful machine. While the 13-inch model with Touch Bar is more powerful than the version without, the difference will not be noticeable except during gaming or hardware-intensive applications. All 13-inch models use Intel Iris graphics, of the HD 640 or 650 variety. They’re not bad, but not great for gaming or other GPU-heavy tasks. For that you’ll want the 15-inch model, which has AMD Radeon graphics based on “Polaris” architecture. All three of these MacBooks use LED-backlit Retina displays with IPS technology, so the decision here really comes down to personal preference. The 13-inch models tout 2,560 x 1,600-pixel resolution at 227 pixels per inch, with support for millions of colors. The 15-inch model has 2,880 x 1,800 resolution, but the pixel density is slightly lower at 220 PPI, due to the larger screen size. While a 15-inch screen offers more real estate for watching videos and editing images, it will also take up more space. They should all offer similar quality in terms of brightness and color. Apple touts these new MacBooks as the slimmest yet, and that goes a long way toward portability. The 13-inch models weigh in at a petite 3.02 pounds, and given they’re a mere 0.59-inches thick, they should be easy to carry in most bags. The 15-inch models is a bit bulkier at 4.02 pounds, with a thickness of 0.61 inches. For users on the go, these are all remarkably portable machines, but if you have limited carrying space, you may wish to opt for one of the 13-inch models. Anyone hoping the new MacBooks would cost the same as the previous generation may want to crack open the piggy bank — and probably check out some cheaper alternatives too. The basic 13-inch model starts at $1,300 with the reduced 128GB of SSD storage, while the 13-inch version with the Touch Bar will cost a whopping $1,500 — and that’s just the baseline configuration. Additional memory and a faster processor cost extra. If those numbers make you queasy, consider moving toward a couch before you read on. 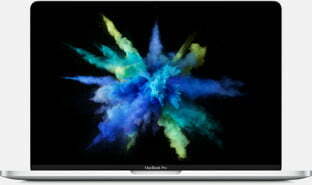 The 15-inch MacBook Pro starts at $2,400. Users who want a bit more power can upgrade to the version with a 2.7GHz quad-core processor for $2,700. The new 15-inch MacBook Pro is easily the most impressive of the bunch, sporting the promising (if puzzling) Touch Bar and some solid hardware under the hood. Still, those features come a daunting price. All things considered, the average user may want to stick with the entry-level 13-inch MacBook Pro — in particular, the one without the Touch Bar. Despite the bump in processor speed you get, the Touch Bar version is just not worth the extra three hundred (or five hundred) dollars it costs.